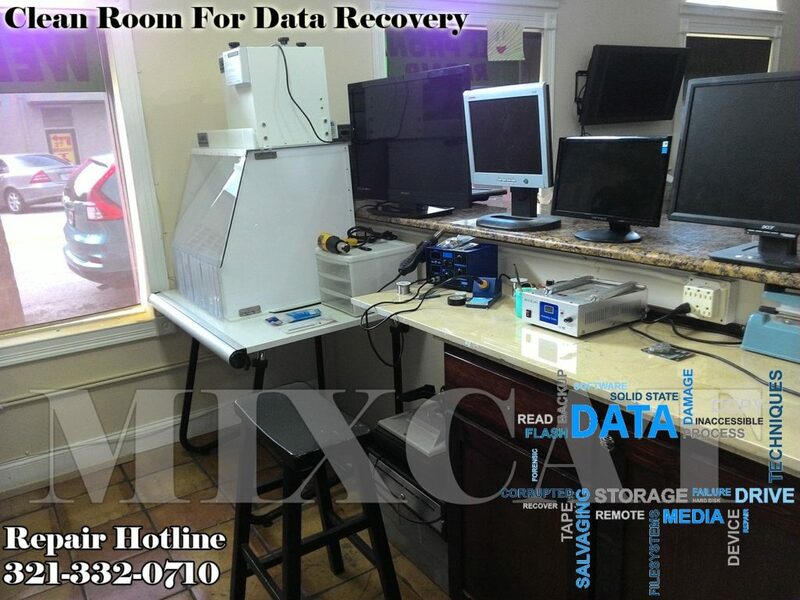 If you’re looking for a reliable IT company to recover and protect your data, you will be happy to know Mixcat Computers has been doing Data recovery for years. Centrally located in Kissimmee Florida close to the Disney / Orlando area but servicing clients all over the world. Mixcat Computers has certified techs that repair HD controllers boards to a component level! We can save your data and make sure its virus free. We are top in our in our field and have great success, repairing External hard drives, internal hard drives, laptop hard drives, Apple / Mac & server hard drives. Our data recovery services are far less expensive than our competitors and will get you up and running without a hiccup. We can even handle your destructive format needs! Don’t worry about someone recovering your data off a laptop, desktop, or server. We have a certified DOD machine that can wipe you data for good! This will keep you safe from identity theft and would be hackers.